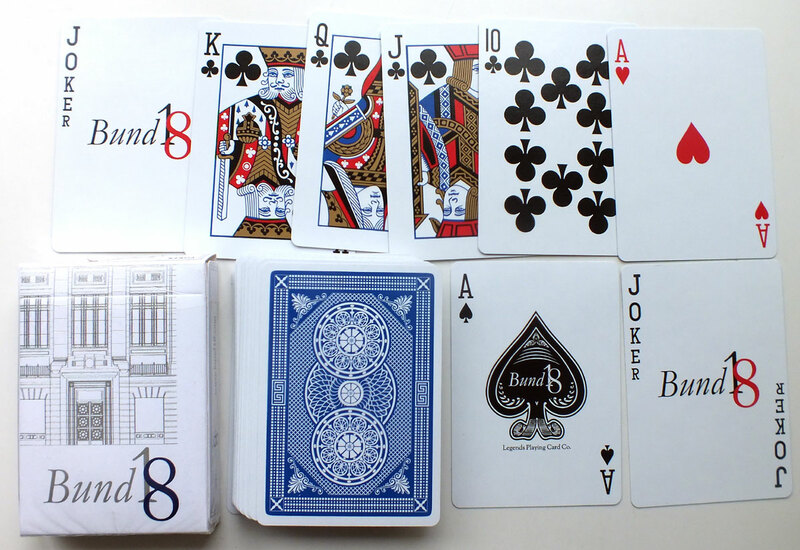 The first edition (#852) Legends deck was a collaboration between David Blaine, Bill Kalush and Lawrence Sullivan, with design from Mark Stutzman. Now into a second edition with new refinements and a choice of three colour schemes, the quality of the card stock and finish is where LPCC decks really stand out. 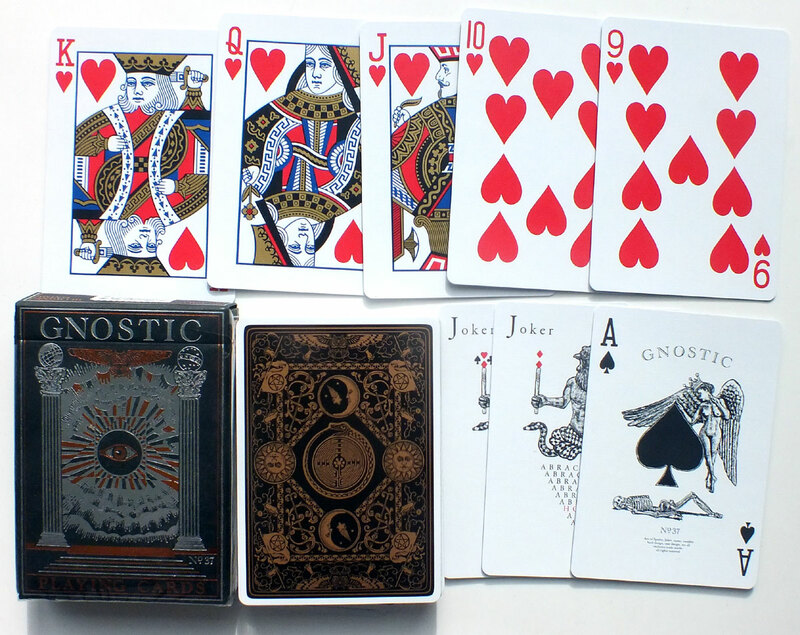 The cards feel smoother right out of the box and have slip and snap qualities that make them perfect for flourishes, shuffle work, deals and more or less any kind of sleight of hand. 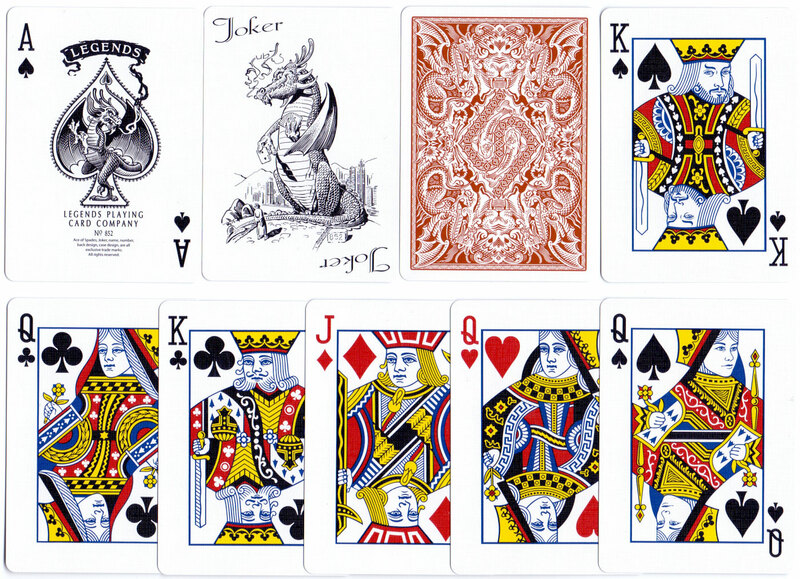 Above: Legends Playing Cards produced by a new card factory in Taipei (Click image to zoom). The courts are standard other than the King and Queen of Spades: the King is Lawrence Sullivan himself, the queen a close friend! The back design looks very clean from a distance, but it has many hidden features. Card stock is ultra-thin, yet stiff and of good weight. Printing registration is sharp and bold and the backs have thin borders, evenly cut. The card surface is embossed with tiny dimples creating excellent handling qualities. The finishing coat is smooth, but less slippery than standard brands, and adapts to your card-handling style. #852 Legends are a breakthrough in playing card quality. New manufacturing methods were innovated to create this initial batch, which makes Legends a cut above the rest. 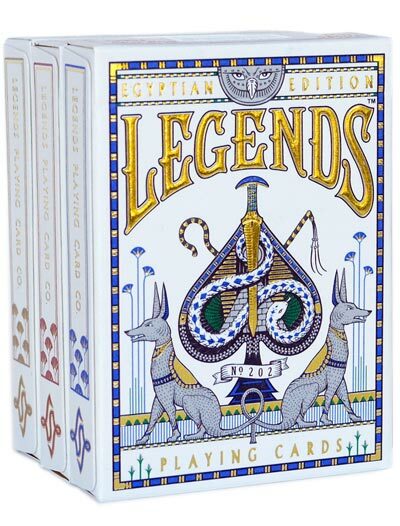 Above: Legends No.202 Egyptian Edition, featuring the best packaging design ever seen on a deck of cards, in a choice of three colour schemes. A custom die cut tuck box, lustrous mirror-like interior foil, and for the first time ever on a tuck case, stunning 3D foiling and embossing on our hallmark. These features, coupled with ultra precise two tone printing, which emphasises the Egyptian theme and showcases Mark Stutzman's brilliant illustration, make this deck fit for a pharaoh. 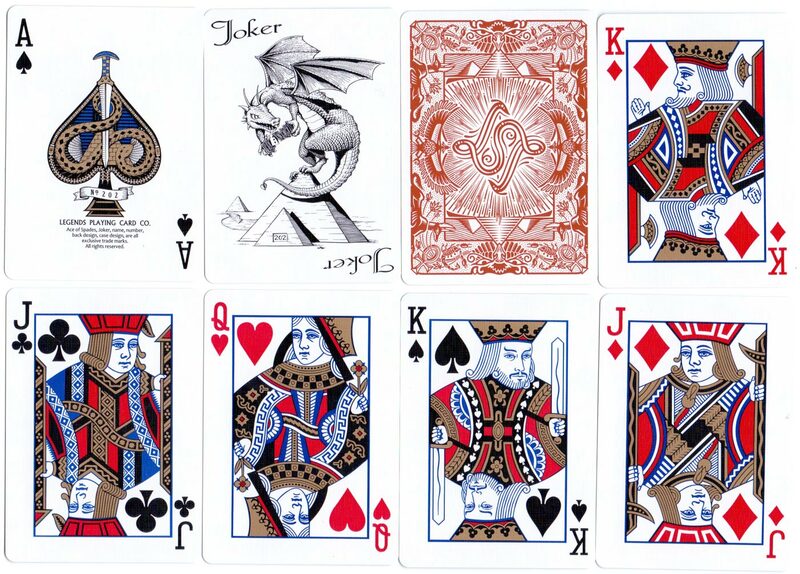 Legends Playing Card Company aspires to print the highest quality playing cards and packaging in the world, regardless of price. As a result, LPCC decks last up to five times longer than standard decks.